The "Wheaton Effect" from the view point of a "NEWBIE" to the Board Game World. How did the show affect my choices? I think that Will Wheaton and the Table Top crew have done a great job of introducing me and others to a world beyond Monopoly, Risk and Chess. I do think the show as offered up some great games but I do not think it had that much effect either. It helped point me in the right direction faster, granted, but I dont think it has ever changed my mind. I did by 1 game due to the show that we arent all that fond of but I probably would have bought 10 other to that 1 with not guidance. I do love to see how a game is played rather than just a review and for me that gives me a better idea of what would suit us. What do you think quick review or watch a game in action? How many games have you played/bought because of the show? Comments welcome, but, please, if you cant say something nice or constructive keep your comments to yourself. I have played the "classic" family board games all my life. I grew up in a very small rural area in Northern Canada. We played games on Friday or Sunday night and Partied on Saturday Nights. We played any game you can think of that used a standard deck of cards and whatever board games owned. My husband and I where Hugely into Magic the Gathering in the early 90s when we were in college. After College we started playing computer games and then we got into MMORPGs. After having kids I just havent had the time for MMORPGs and now that the kids are older we've really been getting into board games. We've been trying to get our friend into boardgames, too. I had never thought of looking at YouTube for video's on how to play a game or for game reviews. I frankly didnt watch much on YouTube at all. My son found the first Table Top show and wanted to get Zombie Dice and we've been hooked ever since. We have also moved on to DiceTower, Watch It Played, others and of course Board Game Geek. Did "Table Top" affect my buying decision here? 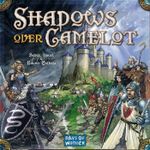 We also looked at the Dice Tower Reviews and other reviews. We bought it because I saw it for $19.99 on Amazon. It has one corner that was smushed in about 2mm which with kids didnt bother me. In the same shipment we bought "Snake Oil" . It had major damage and I sent it back. Snake Oil is a fun little game and we've even added a few house variations to it. Now with more places to get game info, learning what type game family we are and learning what mechanics we like in a game. At $19.99 YUP. 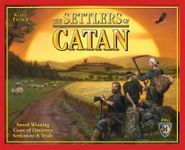 Full price... if you LOVE worker placement games and LOVE the theme, yes. To me there isnt much difference between this and Stone Age to pay full price. It's been fun though. YES, but we didn't buy it. It looked boring. Sorry for those who like the game. Then again I fall asleep during most RPG games, too. Unlikely. I'd play it with friend if they bought it and wanted to but I wouldnt seek out a play, let alone buy the game. Great Coop Game. It looked great on the show and we were not disappointed. YES, watching this did play a BIG part in elevating any doubt we'd love the game. At some point we'll buy the expansions. 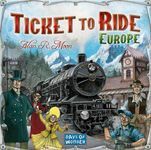 Wil Wheaton and guests Emma Caulfield (Actress—Buffy the Vampire Slayer), John Kovalic (Cartoonist—Dork Tower), and Anne Wheaton play Ticket to Ride Europe! We've owned this for awhile now. Do I like the Game? It's okay but trains arent my thing. Would I buy it now? Probably! Did "Table Top" affect my buying decision here? YES. 100% bought it because of watching this episode. I am glad we did it's on of our favorites. We've played this with several other couples. Would I buy it now? YES!?! Did "Table Top" affect my buying decision here? It might be a factor, but after seeing the game. I think I would rather buy the Journey's version. This version is a little to abstract and subjective for me. If we are looking for a Party Game... It's on my list. This has been on my Amazon Wishlist for Months! IT just confirmed the fact I want to get this game. 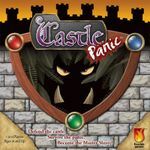 Sadly, ATM I am saving my money for BGG.CON next week. Maybe I'll get it there. Update we bought this Early Dec. We really like it, too. Great game. 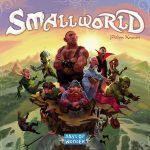 Episode: 37 TAKENOKO---The Panda Feeding Frenzy! I think we first saw this one the DiceTower, then Watch It Played and then Table Top. 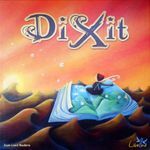 We also got a chance to play it at BGG CON. After there playing it my son insisted we buy it. Would I buy it now? YES!!! I think "Table Top" probably did boost the sales of this game. Target started carrying the Game. I've seen this episode posted on Pinterest. NO. We owned this game before the Episode Aired. 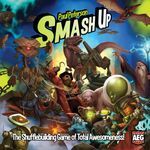 We was put on our Amazon list because of all the reviews and references made by the Dice Tower reviewers. The Top 10 COOP games, begin a big one. We were looking for a new CooP game for the Family. We checked out several other reviews before moving it from our Amazon List and into our Shopping Cart, though. YUP, we like it. I like the traitor aspect-is there or isnt there? I like that people can walk in late and enter the game. Although, I'll usually find a way to get late comers into any game. Usually, I'll just average out the components / gold / points if all at the table agree we let them into the game. Talking about Amazon Wish lists. 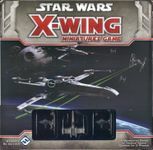 I have several amazon wishlists that are "GAMES: x type here" These are lists of things on my radar from various YouTube reviews and BGG threads that look interesting. 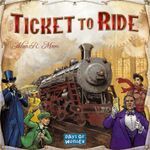 I keep a "want to play" list on BGG. Games I think I'd buy probably with out playing though are on my Amazon wishlist. That way I can quickly see a price point and list when I have a little extra cash for a game or need a Gift Idea. If we are buying just 1 game, usually it's through Amazon Prime. If it's $80 - $100 worth of games, then place them all in my cart for a total price. Then I fill a cart on "Fun Again Games" and one at "Cool Stuff Inc" The lowest overall price wins. That usually only happens for the Holidays or Birthdays. We've started buying games for gifts for Birthday Kids and family. We in the past always bought a BOOK with a toy. I try and get a toy that fits the theme of a children's book that we've enjoyed. It's really great for kids under the age of 10. They can take the ideas from story and use it in there imaginative play. I always get comments months later about how much the parents and kids loved the gifts. Now I do the same with Games for Kids. 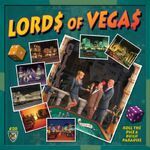 Wil Wheaton and guests Miracle Laurie (Actress—Dollhouse) and Angela and Aubrey Webber (The Doubleclicks) play Lords of Vegas! Did "Table Top" affect my buying decision here? YES- Bought it. I liked the episode. I love the art work. I like the game. Sadly, I am the only person in my family who seems to love it. Everyone has 101 other games they'd rather play. I bought the Big Box, too. I just need to find someone to play the game with me....oy! No, I didnt watch it. I think my son did. I dont like car racing. Maybe, but it's more because the Dice Tower talks it up. 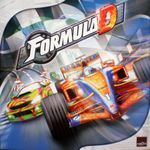 (especially, Zee) If any of my kids show an interest in car racing or I can find a educational reason I still might get it. Did "Table Top" affect my buying decision here? It might be a factor. I'm thinking Elder Sign or Arkham Horror or Ghost Stories. Did "Table Top" affect my buying decision here? YES- Didnt Buy it! Even with my limited gaming experiences I noted the mechanics and theme and my style of play would clash. I am not a huge zombie fan but if I am going to be hunted by zombies OR be a zombie the then to add to the theme if your character dies... what thrill or fear is there if you know you can just get a new character to replace it?? To me that seemed Wrong! The Episode it's self was entertaining. Did "Table Top" affect my buying decision here? YES, sadly. I bought it at the same time we bought Pandemic. I thought Pandemic would be to above our 6 and 9 year old and perhaps my 12 year old. I didnt think it would be so SIMILAR in play to Pandemic. My mistake buying 5 games all at one time without playing them.!!! Lesson learned. My six year old will break out Pandemic and play it solo. All of my kids will play Pandemic before they play "Forbidden Island". It's been pulled out of the tin "TWICE" since we bought it. We might try it one more time, and I already have a possible trade lined up for it. Every time I think about this game I think about writing an article from the view point of a NEW gamer, buying games and lessons learned while figuring out what type of gamer you are. UPDATE: Supposedly, Forbidden Desert is Much Better... we'll see if I get a chance to play it but I am not gonna buy it till after I play it at least once. Did "Table Top" affect my buying decision here? Not really. Euh! 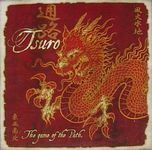 I think between the "King of Tokyo" and this game from watching them being played on Table Top. King of Tokyo stands a better chance of being added to our collection. Honestly, I thought about going back and watching this again. I do tend to multi-task. That being said if the episode or game pulls me in I'll drop everything to watch. This one I know we watched but I dont recall it at all. My kids dont mention this game. My second son recalled a Rahdo "Agricola" run through and asked specifically for that game weeks later. We enjoy playing Agricola on a "Family Level" with the kids. This game though has never come up again. 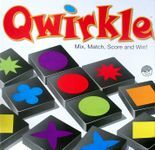 Qwirkle, is a game that has been on my wishlist for 2 years. I never seem to commit to it. I might get it someday. Episode: 38A Qwirkle and 38B 12 Days! Wil Wheaton and guests Kelly Hu (Actress, ""The 100,"" ""X2,"" "Phineas and Ferb"), Meredith Salenger (Actress, "Anger Management," "The Journey of Natty Gann"), and Nolan Kopp (Wil's stepson) play Qwirkle and 12 Days! I enjoyed the episode... Kelly Hu made the show fun! And it was nice to see Will's son Nolan, he seems like a really nice guy! I loved the bit Will did on Qwirkle blocking! Would I buy it now? NO. I need a bit more to a game. Zombie Dice is all LUCK but it's quick and fun. While this is game is gorgeous to me it just left me flat. We'll keep it in our collection until we run out of space. YES, we didnt buy it. We decided it looked like a light game for kids, and we wanted more games that the parents could enjoy with the kids. No. The kids have lists of games they'd like. It's not on their list either.